Not to miss. PopSci has pulled together a gallery of "The Most Amazing Science Images of 2010." 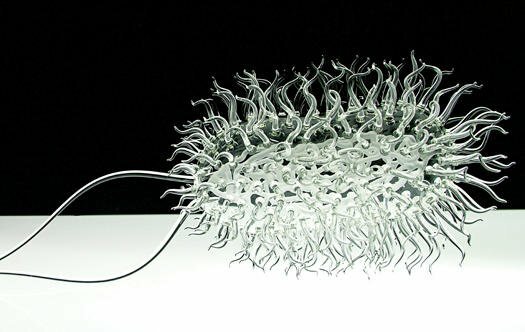 It features 72 photos in total, including the image above – an E. Coli Sculpture that figures into artist Luke Jerram’s “Glass Microbiology” series of portraits. Find a short video his Malaria sculpture right here.